Here’s something to ponder the next time you see a joke about playing League of Legends like a Pokémon pop up somewhere online: why is such a persistent motif? I mean, some League fans even keep track of their fellow players who’ve claimed Pokémon names for their in-game handles. Personally, I think it has to do with the fact that League’s current lore invites the comparison. 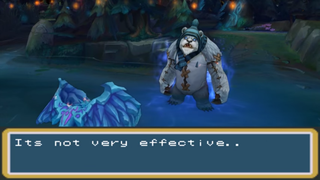 Technically, the character you play in League of Legends is a “summoner”—a magical entity who deploys the game’s specific champions in any given battle. Playing as any given champion in a game of League feels more like you’re actually embodying that character than controlling an adorable little pocket monster from a comfortable distance, though. That might help explain why League developer Riot said it was going to rebuild its game’s lore from the ground up late last year—and why the image of an actual League of Pokémon game is so consistently silly.